Update: Reader Michael Hungerford noticed that the support page in question was modified some time after this post was published, removing all mention of the "former" name and any indication of a change. Whether or not this means that the change is upcoming, or that the decision has been revoked, or that indeed it was a mistake in the first place, we really can't say. Are you ready to read the most exciting Android news story of this Tuesday morning? Then scroll down a bit and click on something else. For some reason, Google seems ready to change the name of the all-you-can-eat Google Play Music All Access service (which, admittedly, doesn't exactly roll off the tongue). And the dynamic, interesting, marketable new name for the streaming subscription is... "Google Play unlimited music subscription." Catchy. Google hasn't made any specific announcements for this change, but this support page clearly indicates that it may be coming soon. The promotional terms for a Nexus 7 All Access trial bundle specifically mention All Access as the "former" name of the unlimited service. The name of the page, and even the self-referential parts earlier in the text, still call it All Access. 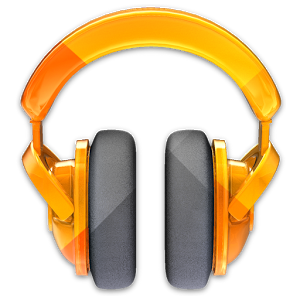 A Google Play unlimited music subscription (previously known as Google Play Music All Access) entitles subscribers to listen to unlimited music from the song titles available within Google Play on a monthly basis. So why the change? We really can't say, but our best guess is that it has something to do with the YouTube music subscription service that Google has been working on for quite some time. (They've got to get those indie labels on board first.) The YouTube service will be separate from All Access (or Google Play unlimited music subscription) and available concurrently. Tying the Play Music service directly into Google Play might be a way to further distinguish it from the YouTube service. That's just our guess, though - we'll let you know if we see any further indications of the name switch. Source: Nexus 7 All Access Promo page - Thanks, Michael Hungerford!